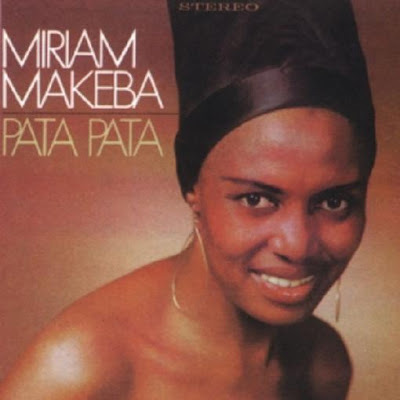 CRIME, GUNS, AND VIDEOTAPE: Miriam Makeba Died today with her boots on. Castelvolturno, Italy--Her politics destroyed her budding American career. She had a wildly fun song, Pata-Pata that really rocked back in 1967. At 35 years of age Miriam Makeba hooked up with Black Panther Stokley Carmichael and went on a Black Power trip and got her banned from American music business. Makeba was a total Bolshevik. You can correctly blame Makeba’s dealings with the unfair South African government that banned from her own country for more than 30 years under apartheid for her views and politics. One thing I cannot deny was Makeba’s talent and showmanship. When I was living in Germany I can remember some really terrific girlfriends of mine that loved to dance to Pata-Pata as only Mekeba could sing it. Makeba died today as she lived at age 76 on a stage doing what she loved, entertaining before an outdoor audience, in the open air at Via Verde, in the small town of Castelvolturno, not far from Naples. She collapsed and later died. Makeba’s politics were overshadowed by her stage presence and strong voice.